Achieving, sustaining and enjoying ownership success is a balancing act. The clear and vitally important difference between what we do for you and the vast majority of all other suppliers, services and consultants is… we take care of you. While they are taking care of your pharmacy, we focus on your personal management and leadership capabilities and resources. We also focus on helping you protect what you’ve built to ensure you reap the benefits you deserve for pouring everything you’ve got into your pharmacy. Ranging from simple tools like the Pharmacy Owner's Time Optimizer and contingency planners, to more complex and involved processes for succession development and selling optimization, we help you become the best owner you can be. Take your ownership success to the next level! The Independence Goals Workshop* is offered free to qualified pharmacy owners. It is private, confidential, takes 90 minutes, and will immediately help you identify new ways to achieve greater ownership success. 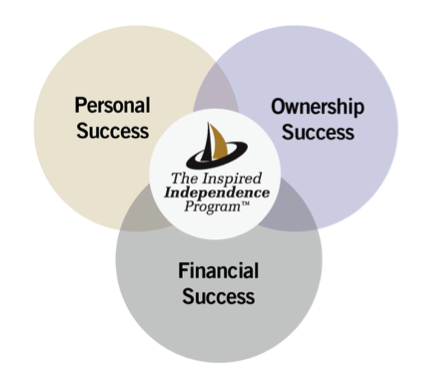 *At the conclusion of the workshop, we will provide, for free, an Independent Life Plan containing our analysis of your current situation, a road map for achieving your goals and a suggested list of tools, tactics and capabilities we can provide to ensure you realize all of the possibilities available to you.